The Long Way Home is a story for young and old, for those who love animals and even for those who can’t fully appreciate the bond between humans and their four legged friends. “The Long Way Home” will be available March 6, 2019. Imagine being ripped from the arms of the person you loved the most, and being left to die in a monster hurricane. Imagine loving someone so much that your capacity to survive becomes almost supernatural. Imagine traveling on foot day after day, night after night, sometimes to exhaustion, without a map, relying on nothing but your senses to guide you back home. 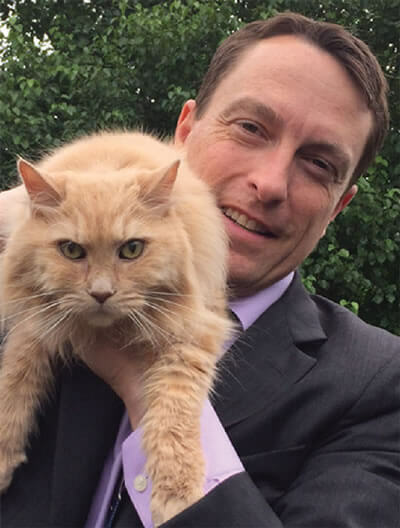 Meet Jackson, a 12 pound cat with a broken tail and the heart of a lion. Born with an incomparable spirit, Jackson forms an unbreakable bond with a tender hearted nine year old boy named Ty after Ty discovers him in a barn one spring day and begs his mother to keep him. Sporting a bumpy tail after being stepped on by a horse, Jackson eventually becomes part of the family as Ty’s lobbying and Jackson’s charm wins over Ty’s mother, much to the chagrin of Ty’s gruff father, Brady. The family soon moves to Texas, where all is well until one day, a monster hurricane threatens their lives. Ty’s heart is crushed as he is forced by authorities to leave Jackson behind to face an almost certain death while the family evacuates. But unbeknownst to Ty, Jackson miraculously survives and embarks on a long, determined journey home to the family farm in Ohio. Along the way, he makes friends, finds adventure, provides entertainment in a most unusual way, and meets multiple dangers until finally, just a few miles from home, Jackson’s will is put to a supreme test as death draws near. 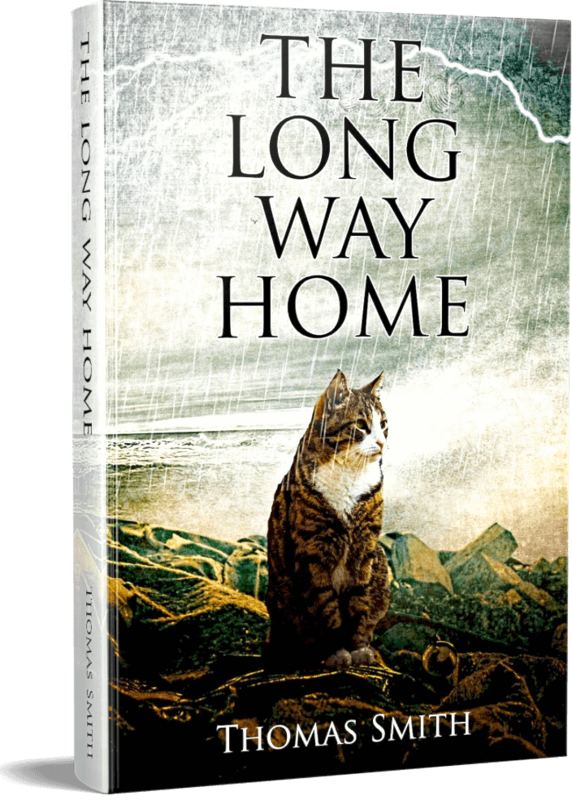 The Long Way Home is a story for young and old, for those who love animals and even for those who can’t fully appreciate the bond between humans and their four legged friends. It is a story about how love can be rocket fuel for the will to live, and about how even the hardest of hearts can be melted by the bond between a child and his furry sidekick. Above all, this remarkable journey reminds us that no obstacle is ever too great to separate us from the ones we love. A portion of the proceeds will go to benefit animal rescue organizations helping animals displaced from natural disasters. THOMAS SMITH is a lawyer who serves as Assistant Attorney General for the state of Texas. A musician as well as a writer, he is married to Audrey Smith and has two stepchildren, Cole and Katherine as well as two ferocious felines, Ike, Jr. and Jinx. Thomas and his family reside in Addison, Texas.